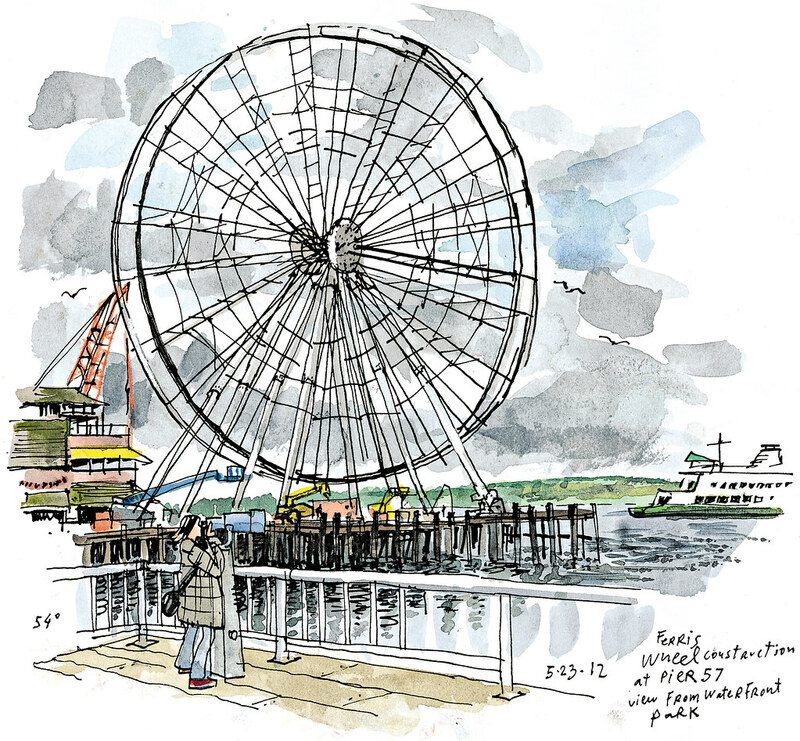 The new Seattle Great Wheel, scheduled to open June 28, stands 175 feet high on the edge of Pier 57, overlooking Elliott Bay. My vertigo almost kicked in just looking at it. Should I be scared to ride it? Griffith loaned me a hard-hat and safety vest so I could roam around while the wheel was being built and see for myself. 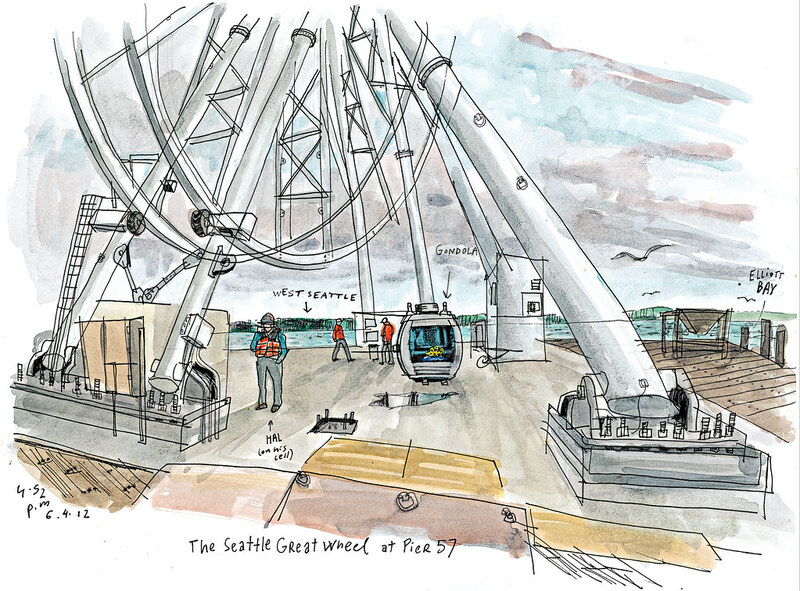 I sat in one of the gondolas while it was still on the ground, which put me at ease with the idea of taking the 15- to 20-minute ride when the wheel opens. Who wouldn’t want to check out that view? Project manager Simon Johnston let me step inside one of the gondolas that had yet to be unloaded from the shipping container. The space inside reminded me of a restaurant booth, with facing benches separated by a table. The benches are long enough to accommodate six people, three on each side, but depending on the passengers’ weight, eight may fit, too, said Johnston. He joked that each gondola has room for eight Europeans, at 75 kilos each, or six Americans. The sliding doors and windows are all glass, so you can count on getting some spectacular views. 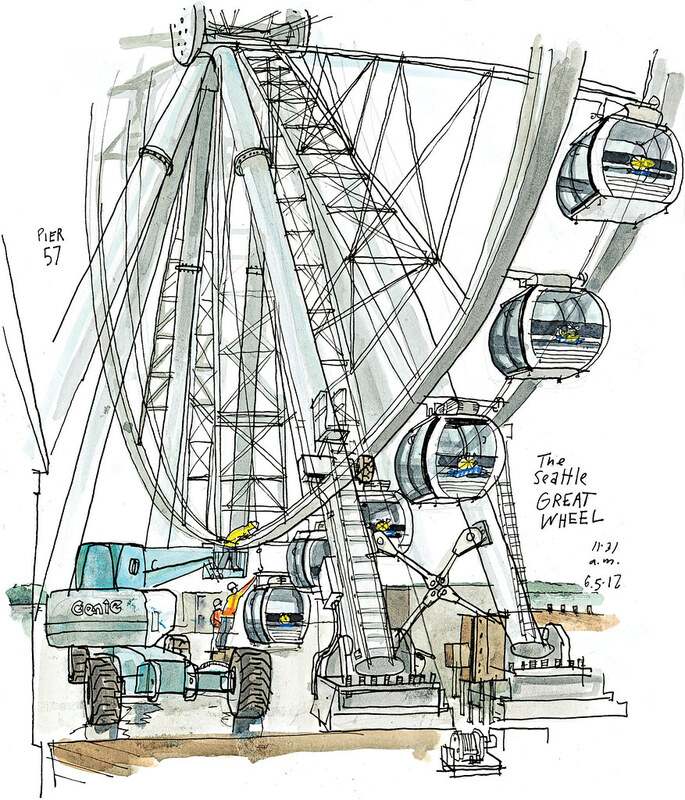 Hal Griffith talks on his cellphone while a construction crew gets ready to attach the 42 Swiss-made gondolas to the Great Wheel. 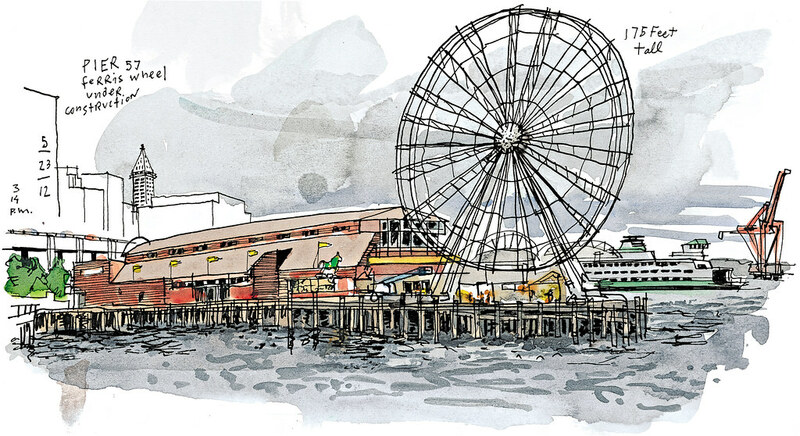 Griffith’s $20-million plus Great Wheel is the most visible change to the waterfront in years. 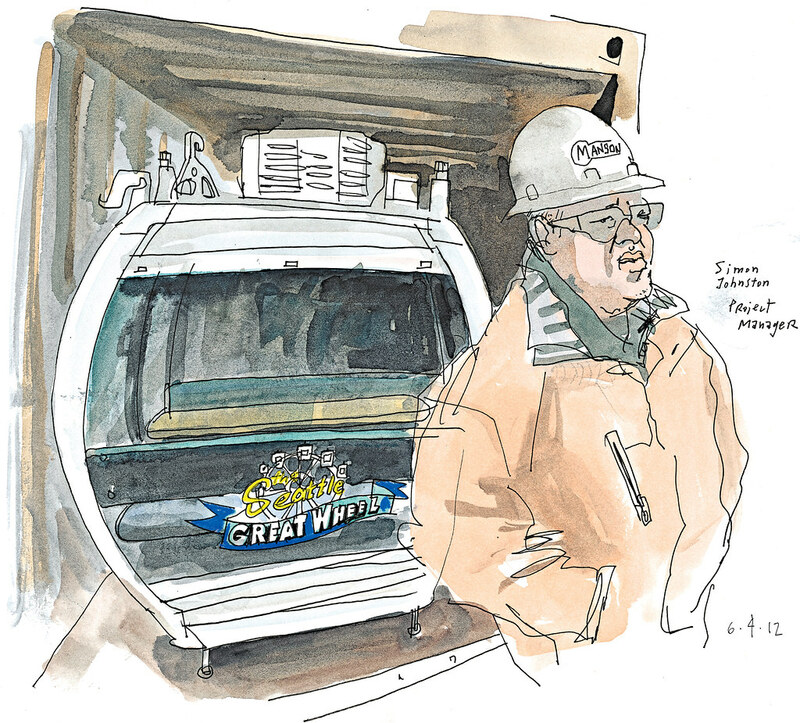 He said the waterfront needed “something really big” to counteract the disruption being caused by the demolition and replacement of the Alaskan Way viaduct.